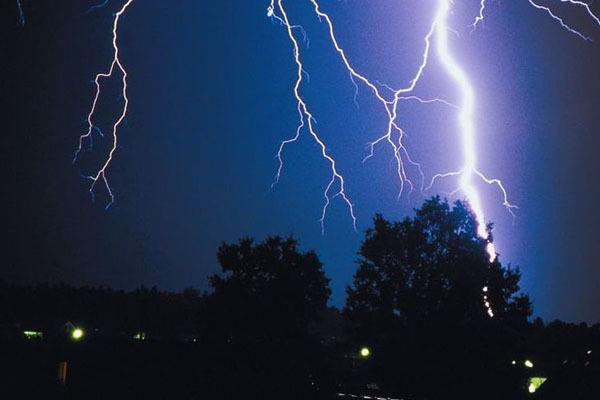 Bhubaneswar: The Regional Meteorological Center, Bhubaneswar issued thunderstorm and lightning alert for seven districts till 4.30 pm today. “Latest Doppler radar and satellite imageries indicate that light to moderate thunderstorm accompanied with lightning and an intense spell of rainfall likely to occur at one or two places over the districts of Sundargarh, Deogarh, Mayurbhanj, Keonjhar, Angul, Cuttack and Dhenkanal between 12.30 pm and 4.30 pm,” a MeT bulletin said. People of the seven districts have been advised to remain alert stay in safe places to avoid any eventuality.